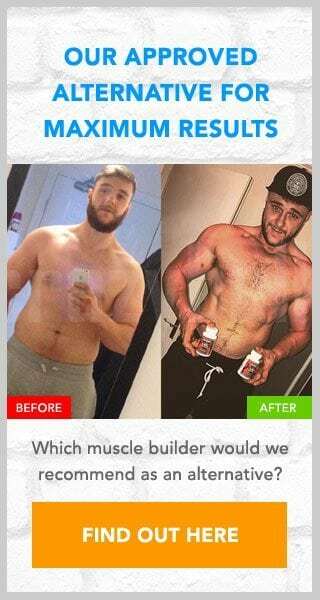 Could using Black Label No really “give you the results you want”? Well, in this review you will soon find out if this supplement can back up its claims with proof. You will also find out if there are any hidden charges with this trial offer, which is something that we have noticed with other offers similar to this. 4 Is Black Label No a scam? When looking at claims it is important that you realise that they are designed to get you to make a snap judgement and to sign up for the trial without looking for any proof. I would suggest that you don't do this and at least look at what Black Label No is made from. At least then you will know what actual benefits (if any) can be experienced through its use. Despite its impressive claims there is no proof to back them up as not one mention of its ingredients can be found onsite. Knowing what you are putting into your body is important, not only so that you can tell what benefits you will experience, but also to ensure what you are taking is safe and will not cause any adverse reactions. You may be in for a shock once you realise the true cost of the Black Label No trial offer. At sign up you may believe you are going to get a good deal as it will only cost you $4.97, however just 10 days after signing up another charge will be made to your account, this time for a quite unbelievable amount ($139.97). This wont be the end of your problems either as signing up to this offer allows Black Label No to send further monthly packages, again with the hefty charge. Is Black Label No a scam? Black Label No have their payment terms in their terms and conditions so are certainly not doing anything illegal. However, it is still impossible to recommend them due to their high cost and a lack of ingredient information. I would suggest that if you are looking for a supplement to aid your own training efforts that you look elsewhere. If you have trialled this product please let me know your thoughts below by filling out our comment form. To avoid signing up to an auto-ship program I would suggest that you look at D-Bal (sold online by Crazy Bulk) as an alternative to Black Label No. As D-Bal is unavailable for trial the price you see is the price you pay. There are no hidden or repeat charges to experience. I thought I was only going to get a small free sample from doing an AT&T survey. I just paid for shipping yesterday and no I didn’t read the terms till after, STUPID of me. I just called and tried to cancel out and they wouldn’t let me over the phone. They want to keep sending and billing and have me return and pay for restocking. WHAT A RIP OFF AND THIS WAS FROM DOING A SIMPLE SURVEY FROM AT&T, so don’t do any survey’s for them. My debit card is cancelled so we will see what happens. I just done a survey offered you a free gift i got charged 12.45 for each bottle then then tried to take £147 out my bank but my bank refused it. I phoned customer service and they are full of crap. They couldnt find my details even though i had the shipping number the lot its a total scam the company should be deemed legal for everyone they have took money from and lawfully be shut down. They are a DISGRACE that goes to mangement or supervisor members act dumb DONT HAVE NOTHING TO DO WITH THIS PRODUCT. I’m very disagree too with these people. They also send me to a collection after one year and also want to charge more money for another bottle that I never get. Nothing it’s free. They’re lying to you. The same thing happened with me. Did you ever get it resolved?